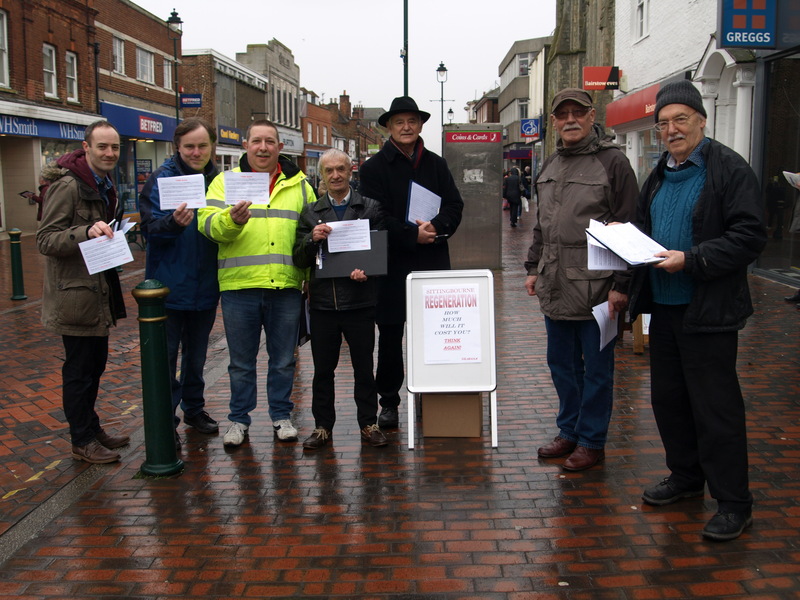 Labour Activists were out in force on Saturday to ask for signatures on the ‘Think Again’ petition. This is asking Tory-Led Swale Borough Council to think again about their decision to borrow £28 Million ( now increased to £60 Million) to fund the building of a Cinema, shops, restaurants and a Multi-Story Car Park (didn’t we used to have one of those?) that they are calling ‘regeneration’. Now you can sign the petition online at http://services.swale.gov.uk/meetings/mgEPetitionListDisplay.aspx?bcr=1 . Please do and help us reach the target which will trigger a Council debate on this subject.